Increasingly becoming a staple amongst mid to high-end HDTVs, smart TVs are in huge supply at the moment. 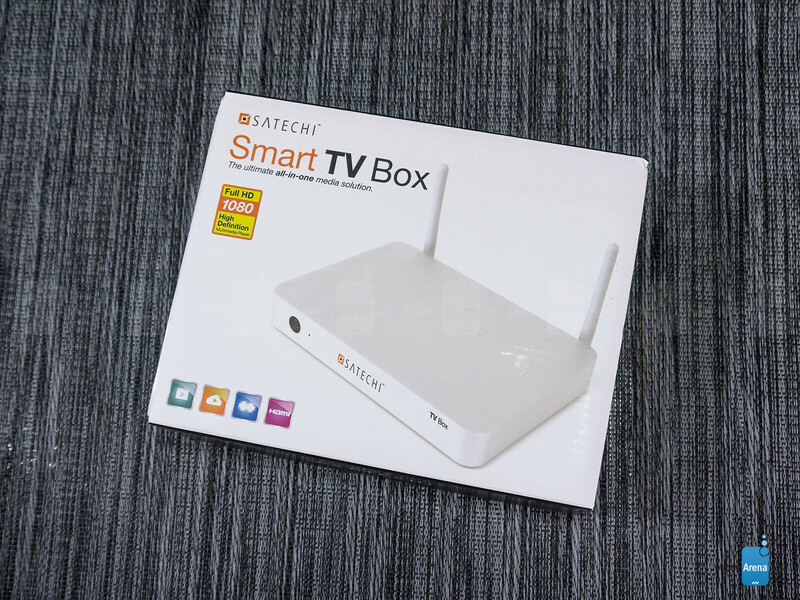 However, if you have an existing television set and want to add the function, your interest might be piqued by the Satechi Smart TV Box. 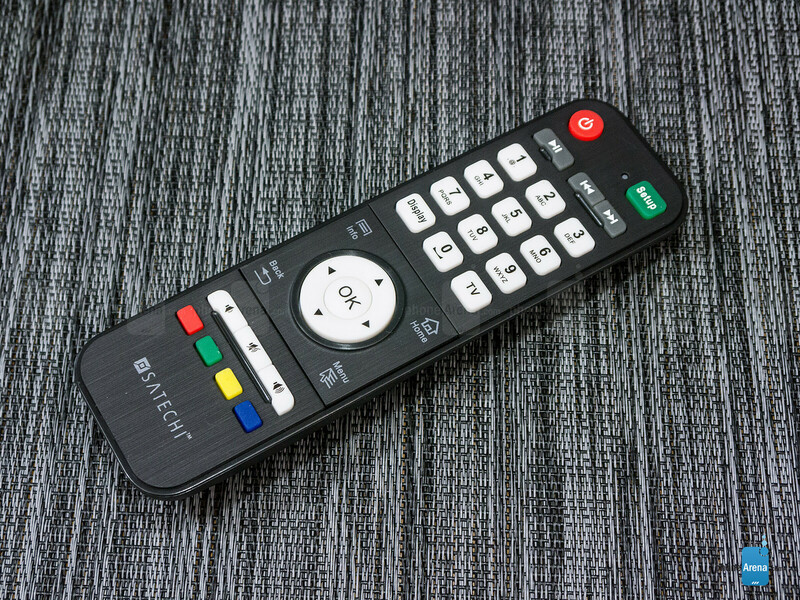 Indeed, there are several devices, Blu-Ray players, and gaming consoles that add the ‘smart’ function to any television set, but Satechi’s box has some versatile features that might prove to be more agreeable to our taste. 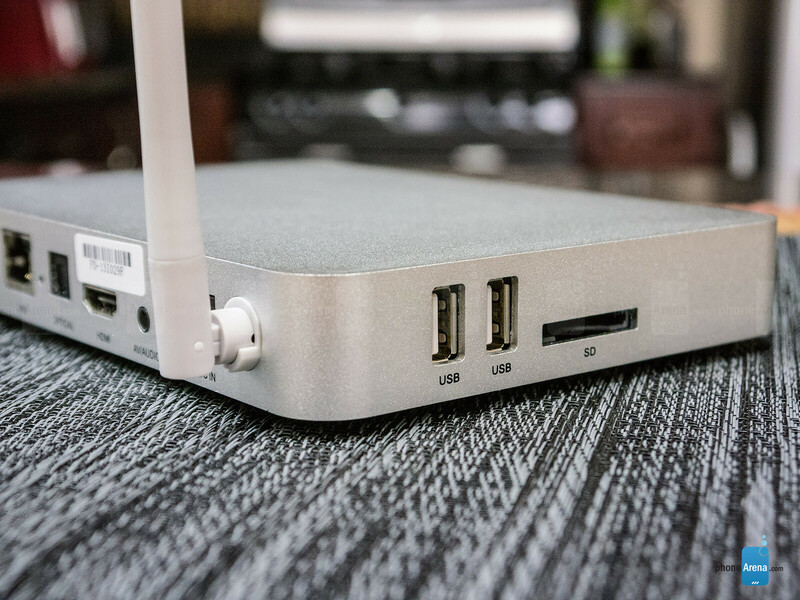 It looks similar to any ordinary wireless router, but its brushed aluminum casing gives it a slight premium touch. 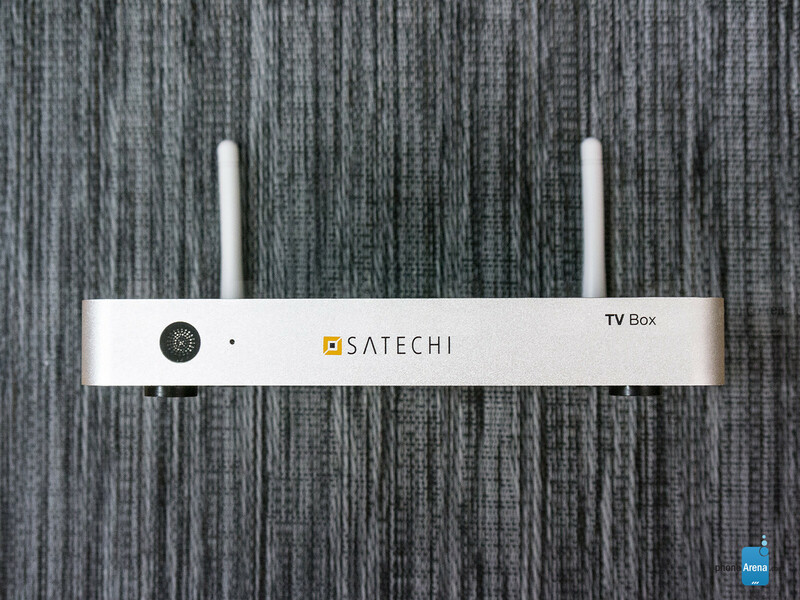 Satechi’s products rarely graze the premium side, so it’s quite refreshing to see that they’ve decided to place a strong emphasis on it with the design of its Smart TV Box. Right off the bat, the box instantly reminds us of any ordinary wireless router – primarily due to its rectangular shape, straight angles, and two antennas. However, it’s pleasing to find that the casing is comprised out of brushed aluminum, which gives it a premium touch. No doubt it’s a sturdy little thing, but there’s some hollowness to it. In terms of size, it’s comparable to a wireless router, so it won’t take a huge amount of real estate amongst your other home entertainment products. Around the front edge of the Satechi Smart TV Box, there’s a circle looking thing that’s actually its IR receiver – with a tiny LED light nearby that shows us the connectivity status of the box. Towards the left, it feature 2 full-sized USB ports and a standard sized SD card slot. Internally, it’s stuffed with 8GB, so that SD slot is useful to have. Moreover, the two USB ports enable us to connect a variety of devices to it – like a mouse, keyboard, or flash/hard drive. 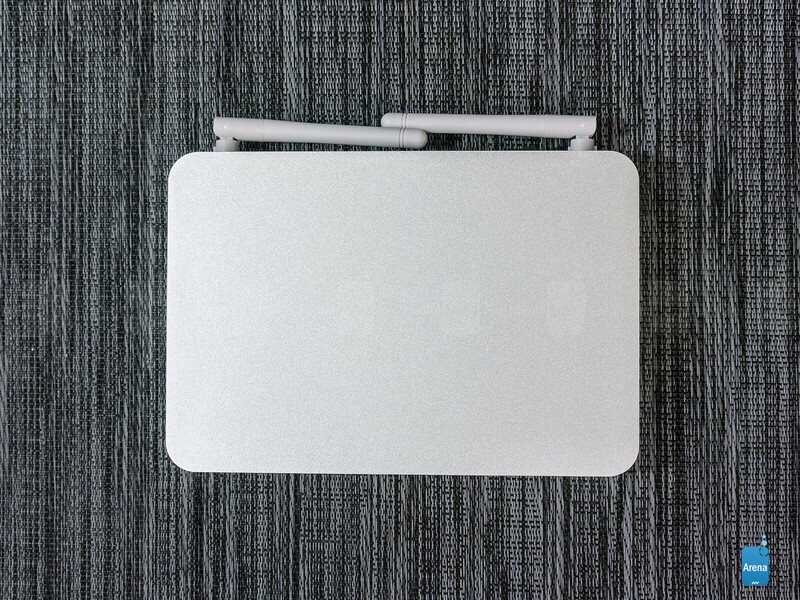 Finally, the rear is home to several ports and buttons. Specifically, they include the power switch, LAN port, optical audio port, AV/audio port, HDMI port, power connection, and a microUSB port that’s used exclusively for service and maintenance. 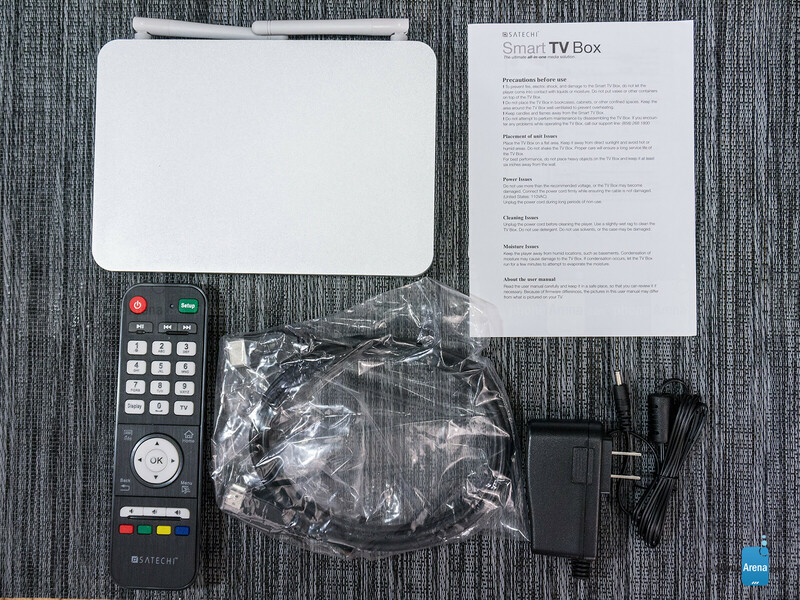 Even though the Satechi Smart TV Box boasts extended-range Wireless N connectivity, it’s nice to know that a hard wired option is available with it. Included with the packaging is an IR remote that’s used to interact with the box. Honestly, there’s nothing to it, seeing that it looks like your basic remote control. Unfortunately, the required two AAA batteries needed to power it on aren’t included with the purchase. The CS918S is the best, with built in bluetooth 4.0, 5mp camera for video chatting, quad core, 2gb of ram, 16gb rom, 4k/1080p/3d playback, and for $118.